Most of its buildings are in ruin. Entire neighbourhoods are levelled. The business district is destroyed. In a single day, this Sierra Nevada foothill town of 27,000 founded in the 1800s was largely incinerated by flames that moved so fast there was nothing firefighters could do. 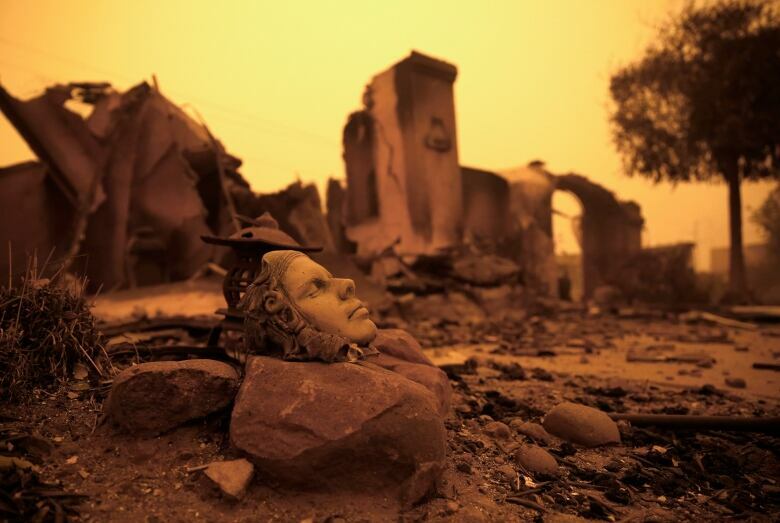 Only a day after it began, the blaze that started outside the hilly town of Paradise had grown on Friday to nearly 360 square kilometres and destroyed more than 6,700 structures, almost all of them homes, making it California’s most destructive wildfire since record-keeping began. The fire in Paradise, about 290 kilometres northeast of San Francisco, was still burning out of control Friday. The town, situated on a ridge between two valleys, was a popular retirement community, raising concerns for elderly and immobile residents who have been reported missing. “The fire burned from one house, to the next house, to the next house until they were pretty much all gone,” Knuthson said. He worked side-by-side with neighbours all night, using a backhoe to create a fire line, determined not to lose his house this time. St. Nicolas Church still stands, a rare exception. The nearby New Life church is gone. An unblemished Burger King sign rises above a pile of charred rubble. The metal patio tables are the only recognizable things under Mama Celeste’s pizzeria sign. 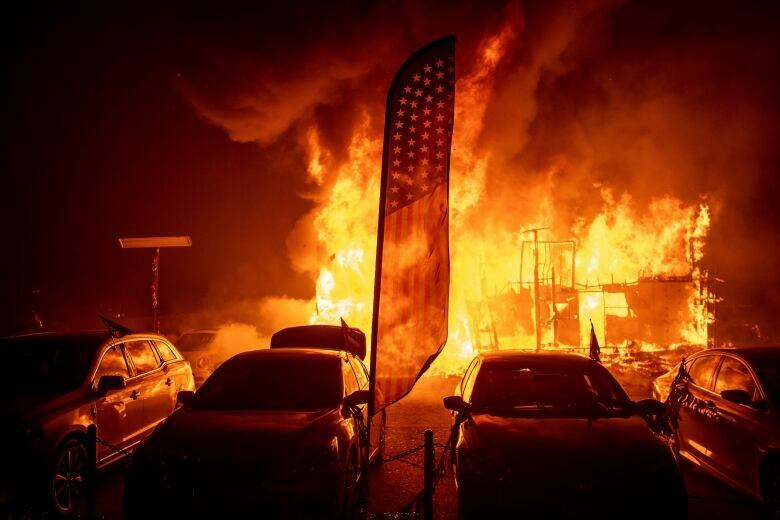 Just 100 miles north of Paradise, the sixth most destructive wildfire in California history hit in July and August and was also one of the earliest. 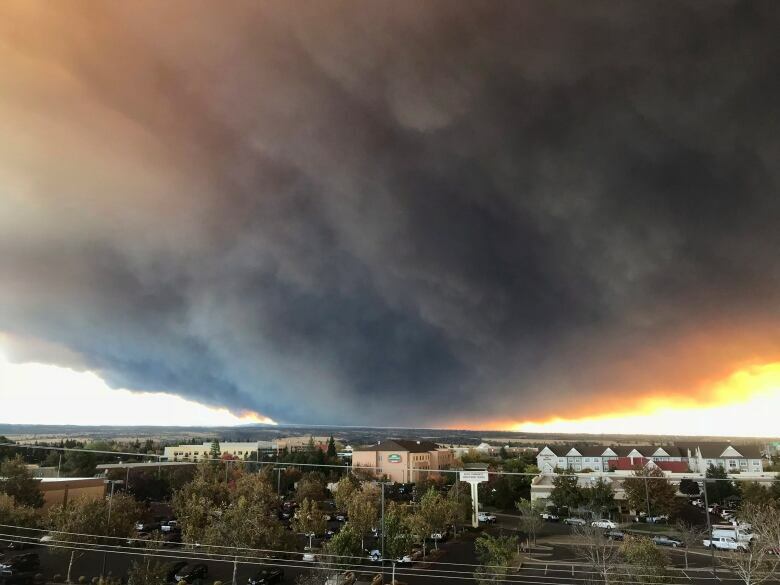 Called the Carr Fire, near Redding, it killed eight people, burned about 1,100 homes and consumed 927 square kilometres before it was contained.